It’s important for the overall health of your child that you establish healthy habits early. 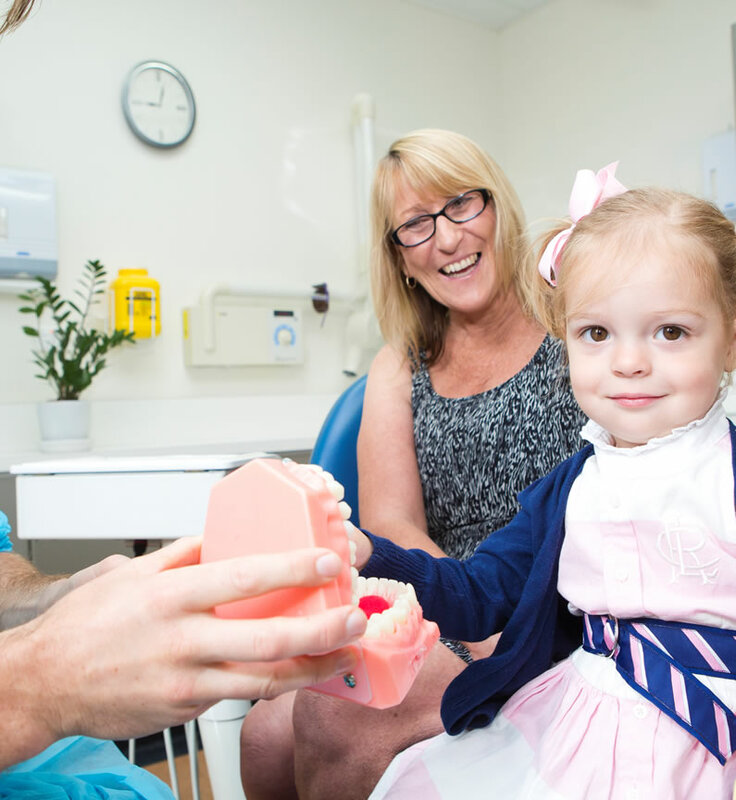 We want to create a great relationship with your child from the start, so they’ll learn and follow good oral health without fear. For the first examination, we usually encourage you to keep your child on your lap so the child feels safe and comfortable. Tooth decay in young children is a serious dental condition, with nearly 50% of children having decay at the age of 6. However, you can help your child keep his or her teeth long enough for the tooth fairy to come naturally. Limit the child’s sugar intake (including soft drinks, juices, lollies and so on). Brushing: Teach your child how to brush (and help them brush until they are 8 or so). program of positive reinforcement will help your child stop. Signs of decay: Get a copy of the ‘Lift the lip’ brochure from our surgery. Only your dentist can tell for sure but early signs are sensitivity to hot and cold or sweet foods or drinks. At this stage, we can stop the decay without drilling.